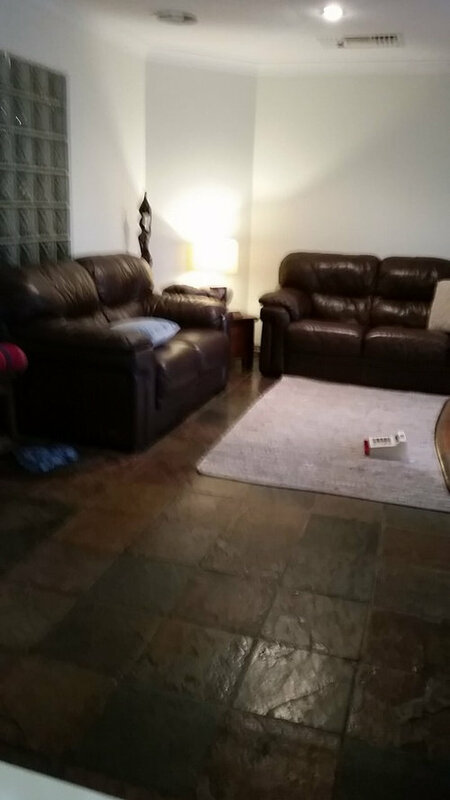 Face brick and slate floors and paint colour. Hi all. i have recently bought a new home which has face brick (which i don't like) and slate floors, which i could get used to. But i am thinking there is to much texture. 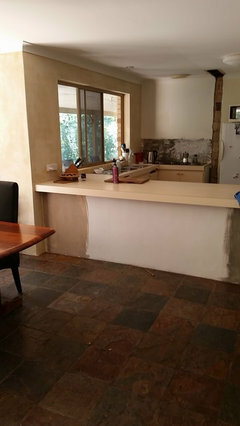 i would like to paint, and redo the kitchen bench/cabinets i don't know what colours to be looking at. would any one have any ideas to start with? Thankyou Girlguides. the bechtop is laminex. i was thinking of changing to jarrah. i will check out a stone. And see uf i can paint the laminex doors. Hi. 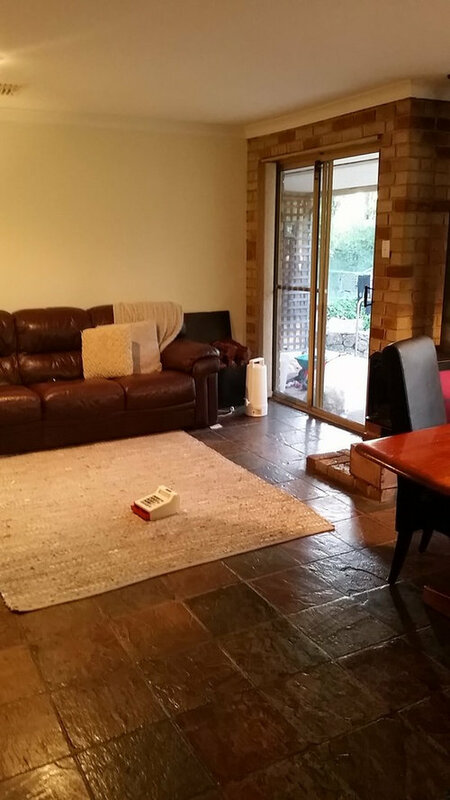 Is the brick in kitchen the same as used in lounge room? Are you wanting to paint over it with whitewash? 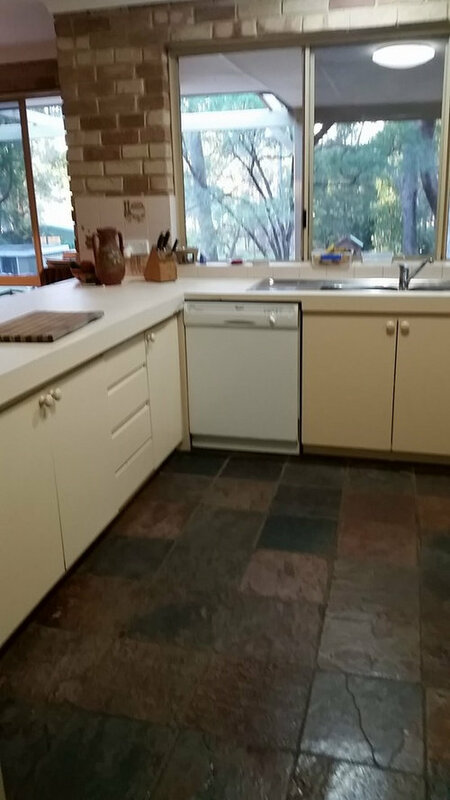 As far as re-doing kitchen, do you want a renovation or just cosmetic update To benchtop, cabinets and walls? Are the cabinets on good condition? 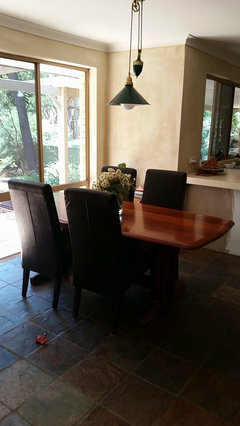 If you have budget for replacing the benchtop with stone or timber, that is what I would do. 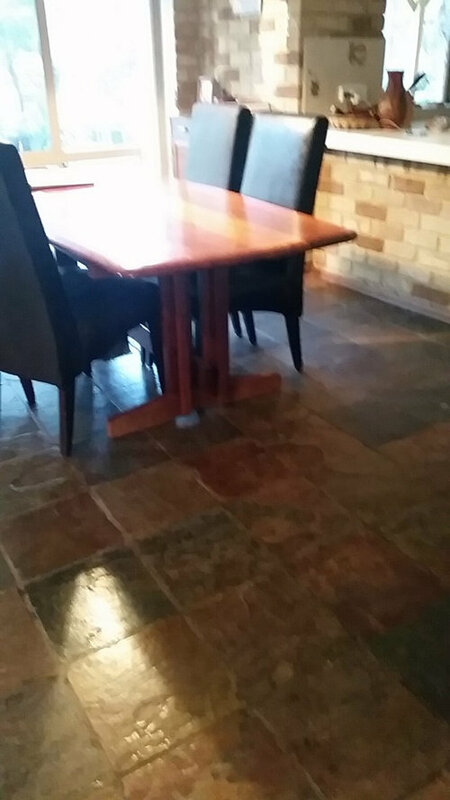 Depending on your budget you have a couple of options available to you for the internal brick walls and slate floors. For the internal brick walls you can either paint over the brick in a desired colour, this will reduce that brick look or you can Plasterboard sheet over them giving you a plasterboard wall which can be painted and will look like the rest of your walls. For the slate, I have to admit that in some cases I don't mind the slate, it's a natural stone which is always better than an imitation. However if you really don't like the look the easiest thing to do is put down a floating floor over the top. If all else fails get a much bigger rug which will cover most of the slate and will probably be the most cost effective solution for your floor. If you do decide to keep the slate pick a neutral tone from the slate that you can apply to the walls which will give your interior a more unified look but without all those colour variations. I suggest a warm grey that picks up some of the tones in the floor. The overall effect can look very contemporary. Thank you every one for your advice. it has taken a while to really get something together. i have decided to do a eooden bench top. Something lighter than Jarrah. not too yellow. half of the walls are painted between antique white / stowe white. i cant decide. i really wanted more grey but the colours kept coming back to blue or purple. and dark. i have rendered some of the face brick, keeping it a little rustic. but unsure if i should paint this as it matches the window trims so well. arrrgh. Can anyone help with yhe next step. cabinet colour. tile colour in kitchen. paint the render? New paint and carpet colour with internal sandstock bricks? Colour...can i mix a green and slate.